Free books? Every month? From birth to age 5? For free? For real? Okay what's the catch? What do I have to buy? You are reading that right. 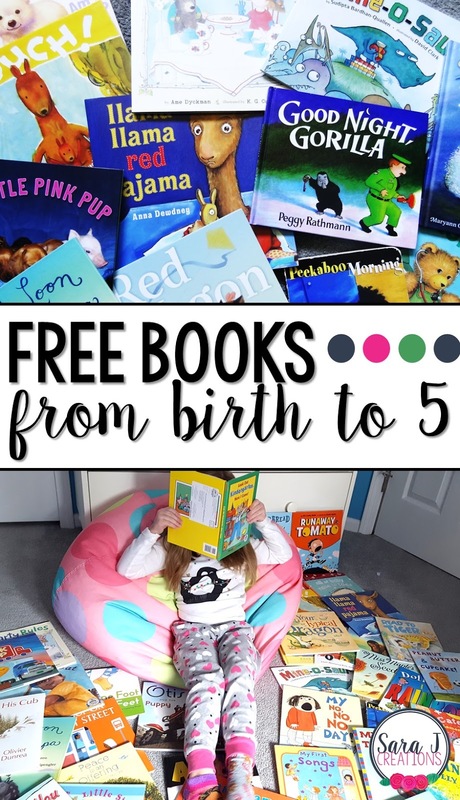 You can have a free book sent to your child every month until they turn five. And it is all thanks to Dolly Parton. 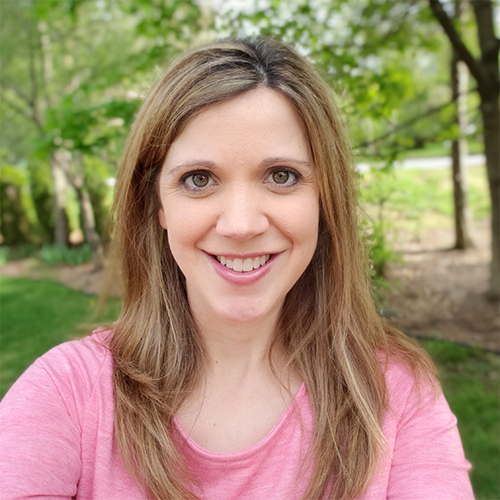 She made it her mission to get books into the hands of young children in Tennessee and make sure they had a love for reading. This charity work expanded to all over the United States. It now includes Canada, England and Australia. I first read about this before my first daughter was born. A friend had signed up her boys and wrote a blog post about how awesome it was and how excited they were each month to see their new books in the mail. I looked into it and read her entire website and was sold. I spread the link around my school. Since it only goes up to age 5, it was too late to sign up our students but I thought we could spread the word for younger siblings or even the teachers' own children. Right after K was born, I signed her up. You need their birthday in order to sign them up. And sure enough, books started arriving and I didn't have to do anything more than sign her up. The teacher in my (and book snob) will tell you that these are quality books too. We aren't talking cheap books that you haven't heard of. There are lots of well known titles and authors. 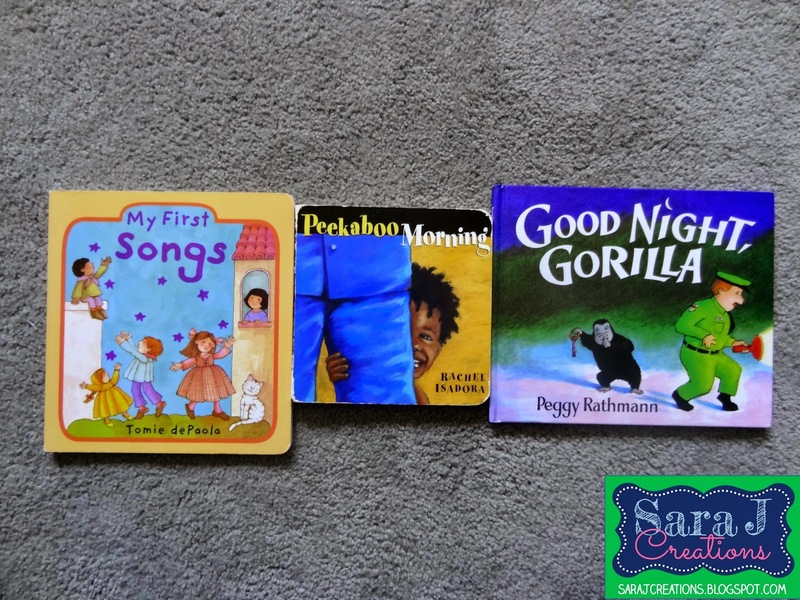 All books are researched and developmentally appropriate. 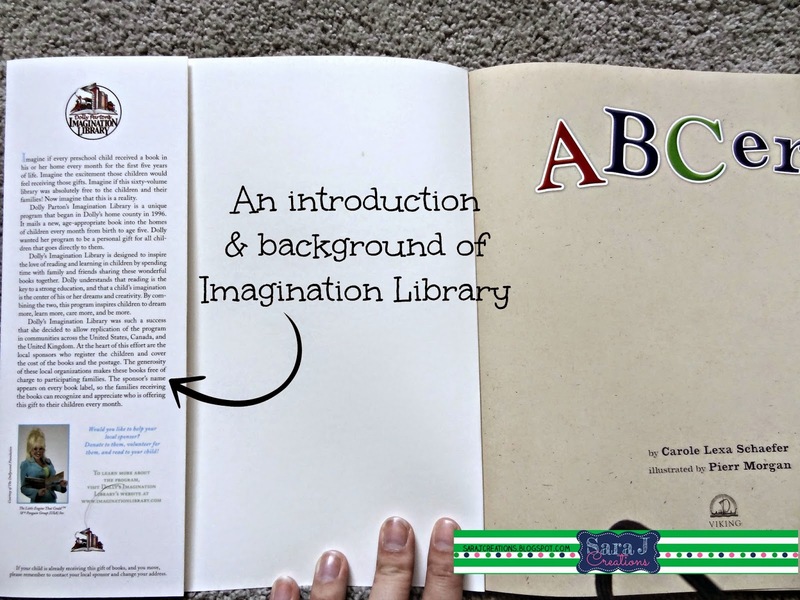 The book you get is specific to your child's age. The little boy next door is 3 months older than K and he gets different books each month since he is older than her. So they don't just send out the same book to everyone each month. So awesome, right? For the first year we got mostly board books and then interactive books with flaps and have now gotten into hardcovers and paperbacks. Each year has a different list of themes and concepts that are covered that are all age appropriate. To see the lists of what concepts the books focus on, click HERE. I have to say, I felt a little guilty signing K up and receiving books each month. Here I am a former teacher so I have bins of books in my basement that used to be my classroom library. Plus my parents are former teachers so they buy her books constantly. Plus the teachers at my school showered us with books for her. I felt like K had so many books at her fingertips that maybe we shouldn't take advantage of this. But we did and I am so grateful that we did! Now here is the one problem. This isn't available everywhere. Dolly's charity pays for a portion of the books but you have to have a local charity that helps fund the rest and deal with shipping. For us it was the United Way of Detroit that handled all books in the area. It was weird though because the city we live in was included but the city I taught in which was two cities over wasn't included. They are constantly expanding so keep checking if your city isn't included yet. They are even expanding to other countries so if you are in Canada, Australia or England, check it out. When M was born I checked out the website again to sign her up. I was curious if she would get different books than K got or if they would be the same since I thought I had read that they change them each year. But they were no longer taking on any new children in our area. So my girls will just have to share, which is okay with me. These are a few of K's favorites. Each month is different. Some months she wants to read the new book over and over and over. This was the case with Peekaboo Morning and Good Night, Gorilla. Other months she hears it once or twice and isn't too into it. That was the case with My First Songs. Then suddenly over a year later she fell in love with the book. We would read it and she was learning and memorizing the songs and would sing them while we were trying to go 'potty' before bed time. Too cute! Now that we've gotten to the paperbacks, they come with two flaps. The front flap explains about the program and Dolly's efforts to bring a love of literacy to young children. 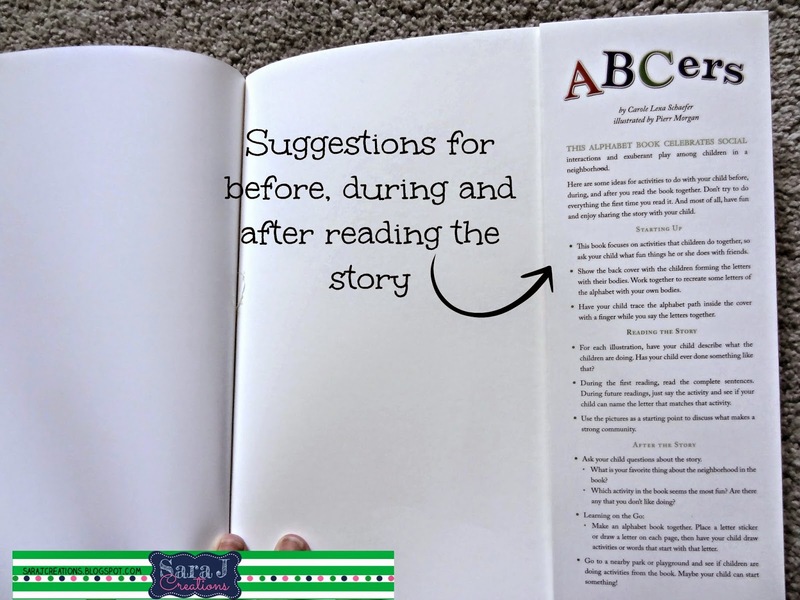 The back flap gives suggestions of questions, prompts and activities to do before, during and after reading. I have to admit that I don't usually use or look at these since a lot of those questions come natural to the teacher in me but I think it is an awesome feature to include for parents. I cannot say enough good things about this program. It is so awesome and it really is free to you. I get emails from the local United Way chapter. 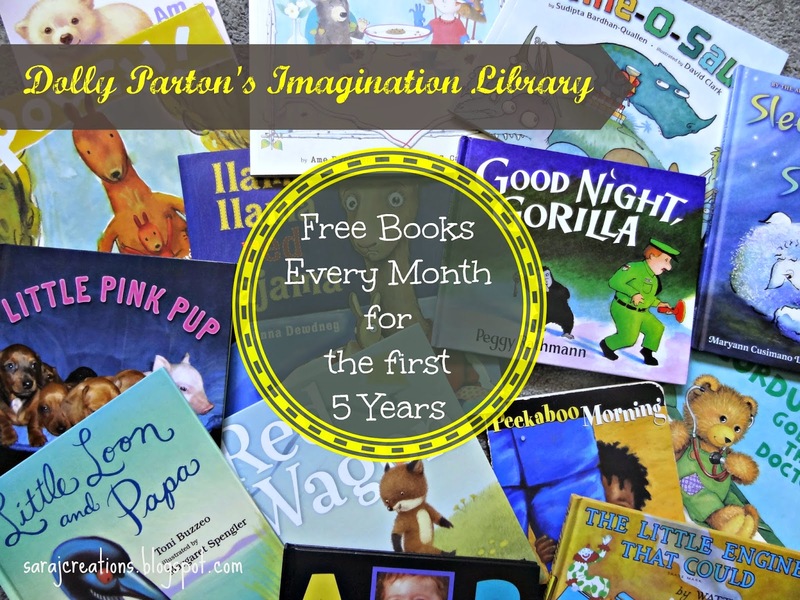 And I think I've gotten one email from Dolly Parton's Imagination Library with a survey asking what books we liked, what we didn't like, etc. That is really the only contact they've had with us. It hasn't cost us a thing. If you want to know more about this program, check out Dolly's site HERE. I get nothing for writing this post and was not asked to do this. I truly believe in Dolly's mission and know the importance of early literacy. I'm just a super grateful mom who is so happy to see a new book in my daughter's hand every month. UPDATE: We just got our daughter's final book - Kindergarten Here I Come!! I may have gotten a little emotional!! I can't believe I have a 5 year old and I can't believe that our amazing time with this organization has come to an end. I continue to recommend this to anyone who has it available in the area they live. We received high quality, developmentally appropriate books each month. Some were titles I knew and loved as a teacher, some were new to all of us. Our library grew and so did my girls' love of reading. I'll be sure to spread the word so those with children under 5 can check it out!